NOTE: The following article is excerpted from Elizabeth Bader’s forthcoming article in the Pepperdine Dispute Resolution Law Journal. It has been extensively edited for this purpose. For the full article, see Elizabeth Bader, The Psychology of Mediation: Issues of Self and Identity and the IDR Cycle, 10 PEPP. DISP. RESOL. L. J. 183 (2010). Here is the link to the first part of this article dealing with the IDR cycle. What has been generally unnoticed, however, is that “face” issues not only shape individual reactions during mediation. They profoundly shape the process of mediation through what I have called the IDR cycle. This is an introduction to this complex subject. Parties in mediation typically pass through a cycle of psychological inflation (overconfidence), deflation, and, finally, if the dispute settles, realistic resolution. This is the IDR cycle. I have explained the causes of this phenomenon in great depth in my recent article in the Pepperdine Dispute Resolution Law Journal. It is caused, fundamentally, by the all-too-human tendency for parties to take conflict personally, and the outcome of the mediation as a reflection of who they are. A simple overview of the cycle is as follows. Parties enter negotiations full of overconfident dreams and expectations, and these dreams and hopes are linked in their minds with the sense of who they are. Unfortunately, their expectations rarely coincide with what is actually possible. After all, the other side also has an agenda. As a result, there is inevitably a period of disappointment and deflation once negotiations begin in earnest. Realistic resolution of the dispute, then, often coincides with parties’ recovering from their sense of injured pride and disappointment. Along the way, they must let go of their identification with their preferred resolution of the conflict, and, implicitly, their sense of who they are in relationship to it. Due to the way the sense of self-identity is created during childhood, interpersonal conflict is experienced as threatening the value and even the existence of the self. As a defense to the anxiety created by conflict, parties tend to self-inflate, to reassure themselves that they will meet the challenge and emerge victorious. The physical challenges posed by conflict, including adrenal surges, also contribute to the initial inflation/overconfidence phenomenon. Understanding the overconfidence phase, and the IDR cycle generally, is crucial for mediators for many reasons. To name just one, it helps us tailor our interventions to the parties’ needs. For example, the overconfidence phase is not the time to confront parties with the weaknesses in their case if you can help it. They won’t be able to hear you, and you will lose their trust. Overconfidence/inflation may be more difficult to see when the parties’ relationships are emotionally charged as a result of a long, difficult history. For example, in divorce mediation or in a will contest, hatred, resentment or envy may cover the underlying inflationary dynamic. In these cases, however, overconfidence is actually fueled by these emotions: a party feels certain they will be victorious in part because their resentment seems so justified. Thus, the IDR cycle is unfolding in spite of or along with the parties’ emotional reactions. Although outside the scope of this brief article, it is worth noting, too, that particularly in certain types of cases, such as divorce cases, some parties may not be able to be overconfident, and may initially present with deflation. In these cases, we must take care to “do no harm” (by analogy to the Hippocratic Oath) to these sensitive people, and, hopefully, encourage them to find adequate support from others during the process of mediation, including their attorneys. In a typical case, however,	the deflationary stage begins with the receipt of the first offer or counteroffer. This is when reality hits home. Each party begins to realize that the other side exists as an independent agent, one who may not agree with their own preferred negotiated outcome. Parties’ reactions during impasse are generally the same as during deflation; however, there is an added emphasis on refusal to give in, or self-judgment if they do compromise. One of the most useful things mediators can do during impasse is to depersonalize the impasse and sense of insult, and evaluate options which are objectively useful for the parties even if they are not the ideal solutions the parties had initially envisioned. In Part 1 of this article, I discussed the importance for mediators of becoming familiar with their own “face” or ego issues — issues related to their own sense of self and identity. This is particularly true during the time of narcissistic crisis, deflation and impasse for two reasons. Secondly, especially during impasse or deflation, the key objective for the client is both to learn to let go, and to do what is best for their long-term interests, not their injured pride. The most profound and most effective message we can communicate during this time is that compromise is necessary for them, not because they are personally inadequate, but because, like us, they live in a world of conflicting interests, a world of self-and-other. This point is best illustrated by action, not just words. Ideally, we do this by modeling interpersonal presence, our capacity to stay with them and the situation as it is, while considering options and the needs and requirements of all the people involved in the situation. If we are instead locked into our own narcissistic issues, it is unlikely that we will be able to meet them in the deep place they have been thrust into by the conflict, or to help them disengage and climb onto a higher plateau. Realistic resolution, then, is the phase of self-and-other, the phase that comes when the parties manage to settle their dispute, relinquishing as appropriate or necessary the need to achieve only their own ideal result or to have the other side submit to their will. In many cases, it should be regarded as both a practical and a psychological achievement. The development of the sense of self-and-other is the hallmark of human maturity. It is also a skill we continue to develop all of our lives. However, while it may be ideal for parties to develop this capacity in the context of mediation, their doing so is not necessarily dependent upon a conscious decision to understand or to recognize each other. We don’t have to make this happen by manipulation or fiat. The conflict itself, coupled with the process of mediation, implicitly or explicitly drives them in this direction. The model of mediation I have articulated here is not dependent on or linked to specific protocols, nor does it require that parties achieve specific levels of emotional maturity. Each person grows to the extent that is comfortable or appropriate for them. 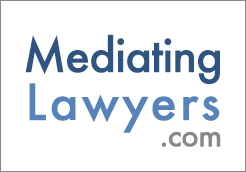 The mediator’s job is accommodate each person’s particular requirements. By looking deeply into the psychological dimensions of mediation, we are thus able to achieve greater flexibility in our handling of conflict, and, hopefully, be of greater service to parties in conflict. 1 See the many authorities cited in Bader, The Psychology of Mediation: Issues of Self and Identity and the IDR Cycle, 10(2) PEPP. DISP. RESOL. L. J. 183-185, notes 1, 10, 13 (2010). 2 Bader, op. cit., passim. 4 Russell Korobkin, Psychological Impediments to Mediation Success: Theory and Practice, 21 Ohio St. J. on Disp. Resol. 281, 284, 291 (2006). See also Bader, op. cit., pp. 203-205 for additional authorities. 5 Bader, op. cit., 205-206. 6 I discuss and analyze the psychological literature which supports this point throughout the Pepperdine article, with particular emphasis on the role that conflict plays in the development of the sense of self-and-other. See for example, the work of Peter Fonagy and his associates on this point: “Conflict—or rather its adaptive resolution—prototypically calls for the perception both of the self and of the other in relation to the self, requiring individuals to reconcile their own legitimate claims with concern for the other.” The capacities necessary to do this thus constitute an important “potential mediator of psychosocial risk.” PETER FONAGY ET AL., AFFECT REGULATION, MENTALIZATION AND THE DEVELOPMENT OF THE SELF 53-54 (2004). 7 Jay R. Greenberg & Stephen A. Mitchell, Object Relations in Psychoanalytic Theory 279 (1983) (discussing what psychoanalysts call the related concept of “object constancy”). A lawyer, mediator, conflict resolution coach and teacher, Elizabeth Bader holds a certificate awarded after more than 200 hours of training on trauma. She attempts to reduce the stress parties in conflict experience by emphasizing respect and compassion but also realism and objectivity. Elizabeth has successfully mediated a variety of cases, including multi-party litigation with national implications. Over the course of her 30-year career as a lawyer, she litigated cases before the California Supreme Court, the Ninth Circuit and many other courts. She understands the way the legal system works --- and doesn’t work. This can be important in many cases. Her name appears on approximately 15 precedent-setting opinions. Elizabeth is widely known, both here and abroad, for her award-winning insights into the psychology of conflict resolution. She has been a presenter/trainer for many bar associations and legal groups, and for therapist groups as well. In Europe, her work is used to help train the trainers of intercultural mediators.